Referee: Orsato – 2nd yellow to Barrientos, Catania on 10 men for last 40+ min., El Shaarawy’s first goal offside (not called,) Boateng red in the 90th for studs up tackle. 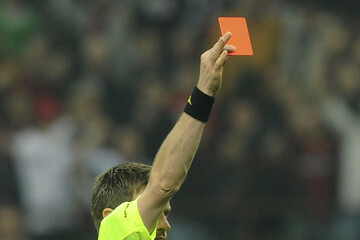 There were 7 yellow cards and 2 red cards in this match. So it is also interesting that in a reported interview to a foreign magazine in November, one of the players gave his manager’s motivational speeches a 4/10. When asked about his owner’s motivational speeches, he rated Berlusconi 11/10. And not coincidental, I think, that the change in form happened when Berlusconi began making his motivational speeches to the players. So where do I give the credit for the turnaround? First and foremost to the players. They did what they were asked. They made themselves available for every match. They worked hard, and when they needed to, they worked harder. It didn’t matter which formation Allegri fielded, nor how often they got a start, they kept their noses to the grindstone and worked. They also endured the criticism of the fans and the media. Even Galliani publicly criticized at least Abbiati (vs. Napoli) and Nocerino (vs. Torino.) The players have shown individual and collective strength and optimism as well as a drive to succeed and to help Milan win. So much youth, yet so much talent. This squad are breaking stigmas and records alike and challenging what everyone thought of them over the summer. Secondly, Luck. Not only have so many of our opponents dropped points and endured runs of poor form, a lot of ref calls have been in our favor. If you look at all of the matches listed above, Milan have been awarded 5 penalty kicks, 4 of them decisive in the final score. We were also given 3 own goals by opponents, and a goal that should have been offside (although only one own goal was decisive in that match.) Additionally, our opponents have gone down to 10 men for 40 minutes or more three separate times, giving us the numerical advantage. Call it luck, Karma, referee errors, our opponents’ bad luck, this factor has been decisive in Milan’s incredible run of form this year. And finally, Allegri. But I still can’t laud him like others do. 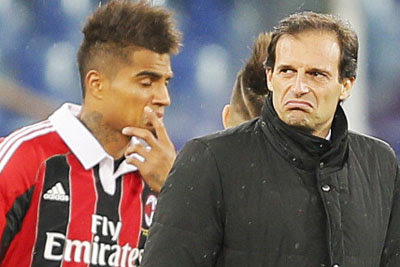 Had he not coached so poorly for the first three months, Milan likely would never have been in such poor form in the first place. So he looks good by first having made the team look so bad? But to his credit, he has stayed under intense criticism from everyone, especially management. Also to his credit, after going on a lineup changing spree like a woman with her first credit card, he reigned himself in and stuck with the 4-3-3 formation. And while he still continues to struggle with certain parts of the lineup, such as defense, the stability he has since provided has allowed our boys to shine. There are other factors, of course, but for me, I would rate these three as the most influential, with management coming in fourth with the same caveat as Allegri – they did some good things, but also affected the team very negatively. Milan’s revolution cannot be credited only to one source. It has been the collaboration of many sources, as well as some unexpected discoveries along the way, like El Shaarawy, De Sciglio, Constant, and Niang. Fans may still miss some of our former stars, but Milan are making history with a squad that is both FFP compliant and competitive. A squad that is now light on experience, heavy on youth, and yet still pulls out the wins, whether by will or by luck. We have a team with heart, a lot of luck all the way around, and a coach and management that are sticking with them, even if they’ve done a bit of kicking and screaming. The only question that remains is how far will Milan take this revolution? Stay tuned through the end of the season to find out. Milan vs. Palermo: Game On! Champions League –Barcelona vs. Milan: Game On! 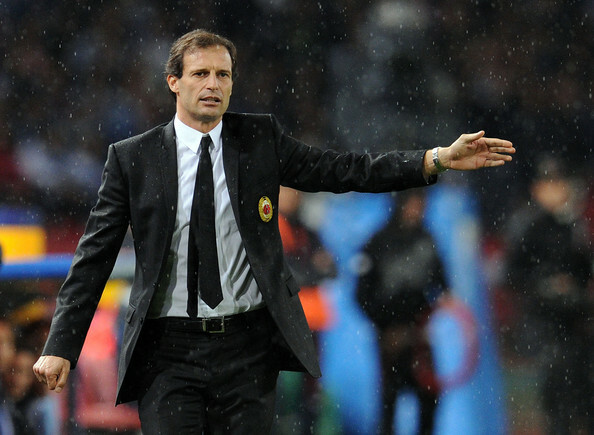 Genoa vs. Milan: Game On! 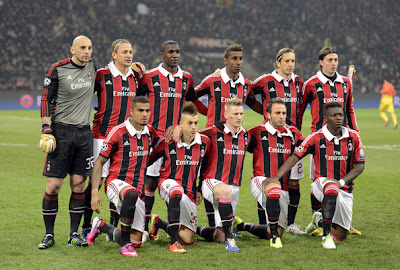 Milan vs. Lazio: Game On!